Following a national search, three candidates have been chosen as finalists for the presidency of Hudson Valley Community College. They are: Dr. Ann Marie Murray - Associate Provost and Chief of Staff, University at Albany, and former president of Herkimer County Community College; Dr. Roger Ramsammy - Former President, West Campus, Miami Dade Community College; and Dr. Julie A. White - Senior Vice President of Student Engagement and Learning Support, Onondaga Community College. Brief biographies are attached. The finalists were recommended to the college's Board of Trustees by a 24-member presidential search committee comprised of faculty, staff, students, alumni, trustees, foundation board members and community leaders. College Board of Trustees Chair Neil Kelleher leads the search committee. Kelleher said, "We have three very strong and well qualified candidates who are capable of successfully leading Hudson Valley into the future. I greatly appreciate their interest in joining our college, and I also thank the members of our search committee for their time and hard work. They have been incredibly productive, respectful and cohesive, as they worked in the best interest of the college to carefully deliberate and select our finalists." The process began this spring with the appointment of the presidential search committee and hiring of the executive search firm, Isaacson, Miller. Following meetings with members of the college community, the firm organized a national recruitment effort and presented candidates with a variety of backgrounds and experiences. Finalists will participate in interviews and meetings on campus from Oct. 10-17, and one will be selected for approval by the college's Board of Trustees and SUNY Board of Trustees. Drew Matonak, Ed.D., the current and sixth president of Hudson Valley Community College, informed students, faculty and staff in June 2016 of his plans to retire in August 2018 after 13 years of leadership at the college and a career in higher education spanning four decades. Ann Marie Murray is a visionary leader and curricula expert in higher education having served over 30 years in the State University of New York. A keen strategic planner, Dr. Murray has brought her skills to every institution in which she has worked, from academic programmatic planning to a full strategic plan for a community college to the creation of a new college at an R1 University. She has extensive experience with internal and external stakeholders, building relationships within the institution and throughout the community with business, educational and public partners. These partnerships have resulted in new academic programming, innovative industry connections and public engagement with the local community. Dr. Murray started her career in higher education in the classroom as an adjunct instructor at Hudson Valley Community College teaching in the Mathematics Department where she went on to become a full professor and eventually department chair of the Mathematics and Science and Engineering Science Department. She moved into full time administration at Hudson Valley in 2001 as the Associate Dean of Academic Services, integrating technological advances into the teaching and learning environment and then simultaneously the Dean of Business and Industrial Technologies where she initiated programming in Photovoltaics and Nanotechnology resulting in the creation of the TEC-SMART facility in Malta. In 2005, Dr. Murray became the Vice President of Academic Affairs at Broome Community College. Working with industry, Dr. Murray and her team created an internship program with Diamond Visionics in Binghamton and was instrumental in working with local public officials to create funding for the Natural Science building. Dr. Murray was the President of Herkimer County Community College (now Herkimer College) from 2008 until 2014. During that time, Dr. Murray initiated multiple academic and student initiatives. She worked to create the new Gaynor Science Wing, reconstructed the Food Court and dining facilities, rebranded the College and completely revamped the website. Under her leadership the College removed three warnings from the Middle States Commission on Higher Education and established accreditation until 2020. During Dr. Murray's tenure she added five new academic degree programs, established an Academic Senate, a Center for Teaching and Learning and a Center for Global Learning. Currently, Dr. Murray works at the University at Albany as the Associate Provost for Program Development where she was instrumental in the creation of the College of Engineering and Applied Sciences and oversees the University at Albany/Albany Law Affiliation. The recipient of the SUNY Chancellor Award for Excellence in Teaching, Dr. Murray holds a Ph.D. in Curriculum and Instruction, an M.S. in Instructional Technology and an M.A. in Advanced Classroom Teaching from the University at Albany. She obtained a Bachelor of Arts in Mathematics from Mount Saint Mary College in Newburgh, NY and resides in Loudonville, NY with her husband John Murray. For the past 23 years, Dr. Roger Ramsammy has served in a variety of teaching and administrative positions. 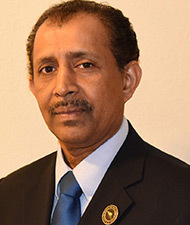 At Palm Beach State College (PBSC), he held positions as Professor of Microbiology and Anatomy and Physiology, Chair of Biology, Associate Dean of STEM and Dean of Academic Affairs. He served as Provost and Chief Academic Officer at Northern Virginia Community College (NVCC), and most recently served as President of Miami Dade College's (MDC) West Campus. He was an American Association of Community Colleges (AACC) past Commissioner for Diversity, Inclusion and Equity, and recently served as Commissioner for Academic, Student, and Community Development. Dr. Ramsammy acquired his experience working for three of the largest multi-campus colleges in the US: MDC, which serves 165,000 students; NVCC with 70,000 students; and PBSC with 59,000 students, respectively. At all three institutions in which he has served, Dr. Ramsammy carried an unblemished record of successfully transforming the campuses with high productivity and record-high enrollment. He has a wide range of experience in accreditation, assessment and data collection, as well as fiscal responsibility and creativity for community outreach. This expertise paved the way for MDC West Campus to gain full SACS accreditation within a year of his arrival. Additionally, he has led the development of several award-winning programs, one that gained the attention of President Barack Obama and earned him a place among national leaders in STEM at the White House in 2014. The Fairfax Chamber of Commerce in Virginia recognized Dr. Ramsammy in 2015 and 2016 as one of the top four CEO's in the region. He was recently awarded the Martin Luther King Jr. Outstanding Educator Award for his dedication to serving the education community, and received recognition from the City of Doral and UNESCO for his community support to local and international businesses. He is the recipient of numerous teaching and leadership awards; among them Professor of the Year for the State of Florida and PBSC three times. He is also the recipient of numerous awards for his online creative projects, and was one of the first four authors selected by Carnegie Mellon University to be part of an Open Learning Team to establish a Science Online Textbook. Prior to his post-doctoral work at Georgetown University's Lombardi Cancer Center, where he began teaching as an adjunct faculty member, Dr. Ramsammy earned a Ph.D. in Molecular Biology and Master's Degree in Genetics from Howard University. He holds a baccalaureate degree in Biology from the University of DC. Dr. Ramsammy is a first-generation college student who understands, first-hand the economic and academic challenges many students face. As a result, he made a deliberate decision to serve students and provide for them what he received from others. He believes no one gets to where they are alone. He is married with three children. 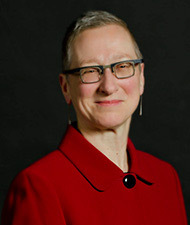 Julie White currently serves as the Senior Vice President of Student Engagement and Learning Support at Onondaga Community College in Syracuse, New York. Previously, Dr. White served as Interim Provost and Senior Vice President at OCC, while the College extended its search for a new provost. Dr. White joined OCC in 2013 as Vice President, Student Engagement and Learning Support. Prior to that, she held the position of Director of Centers for Student Engagement and Academic Advisement at Cayuga Community College, and from 2005-2013, Dr. White worked at Monroe Community College as the Assistant Director of Student Services, where she also served as an Adjunct Instructor in Sociology. Prior to joining the Monroe Community College staff, Dr. White worked at Rochester Institute of Technology, serving in roles including Director of Human Subjects Research, Associate Director of the Center for Student Transition and Support, and Coordinator of the Women's Center. Previously, she was a Health Educator at the State University of New York at Geneseo and University of Rochester. Currently she is also an Adjunct Professor and Dissertation Committee Chair in St. John Fisher College's Ed.D. program in Executive Leadership. She has also taught as an Adjunct Professor at the Warner Graduate School of Education at the University of Rochester, Monroe Community College, and SUNY Geneseo. Dr. White is a Fellow of the American College Health Association and has been recognized by several organizations for her work in advancing diversity and inclusion, including recent awards as a YWCA Diversity Achiever from the YWCA of Syracuse and the Ann Felton Multicultural Leadership Award from Onondaga Community College. Dr. White also remains active in academic research, conferences, and publications, in the areas of community college research, success for under-represented populations, and financial aid policy. Active in the community, she has served on several boards, including the Everson Museum of Art and the Say Yes to Education Syracuse Operating Board. 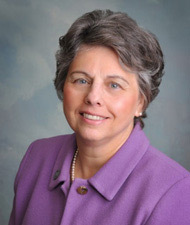 She is currently President of the New York Association of Community College Chief Student Affairs Officers, Inc.
Dr. White earned the Doctor of Philosophy in Educational Leadership from the University of Rochester, a Master in Education in Counseling from Xavier University, and a Bachelor of Science in Education in English Literature from Miami University.